It’s all about digital marketing these days, which is why every business from the largest corporation down to the smallest sole trader needs to have some sort of web presence. The modern consumer expects to be able to find out who you are, what you do and, perhaps most importantly, why he or she should choose your company over those of your competitors. Most startups tend to cobble together a few web pages, often using the services of a friend who knows a bit about web design, or through one of the many hosting services which offer cheap, or even free templates. For new businesses with budget constraints this can seem the perfect solution, but saving money on your company site almost inevitably limits your business prospects. 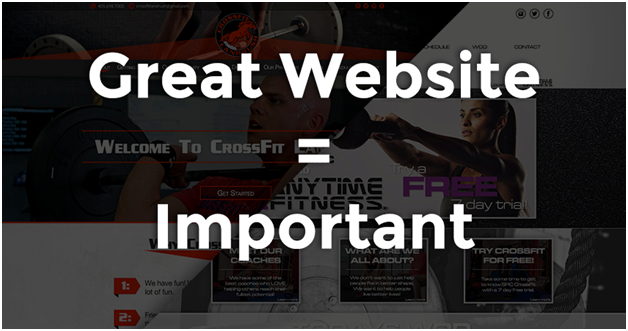 LIfehack addresses the importance of a website to business prospects in a helpful article. Prospective customers judge by first impressions, and a self-built website that is slow to load, poorly conceived or executed and littered with grammatical errors is likely to put people off before they even progress past your home page. Visitors want to see a professional site that is clear to understand and intuitive to navigate. Load times need to be quick – it’s far too easy to click, swipe or tap away to another site and once you’ve lost a potential customer they may never return. Mobile devices are now one of the most popular methods for searching for goods and services online, which means that websites that were designed and created even as recently as a couple of years ago are almost certain to be out of date. Most search engines have introduced penalties for websites which they do not consider to be sufficiently mobile friendly, and those which fail to take account of the new technology are unlikely to find their sites listed prominently in the rankings. Responsive web design is the industry term for websites that adapt according to the device that they are displayed on. This means that your website will adapt perfectly to fit a widescreen laptop or a small smartphone screen, meaning that no matter how your customers choose to view your site, they will always have a clear and positive experience. TechRadar Pro offers a helpful explanation of the principles and benefits for anyone unfamiliar with the terminology. Professional assistance should be seen as an investment rather than an expense, as good web designers will ensure customers find your site, have a positive online experience and go on to make those all-important purchases. Look for web designers outside London to take advantage of competitive pricing structures designed specifically for smaller businesses working to tight budgets. As an example, one Oxford web design company, datrim.co.uk, offers a clear pricing structure and a range of services from an overhaul of your current website through to a complete redesign project. A professional website should be viewed as an investment and, unlike so many other forms of marketing, you can see tangible results. Data analysis allows you to monitor site traffic and understand exactly how your site performs in terms of increased sales.